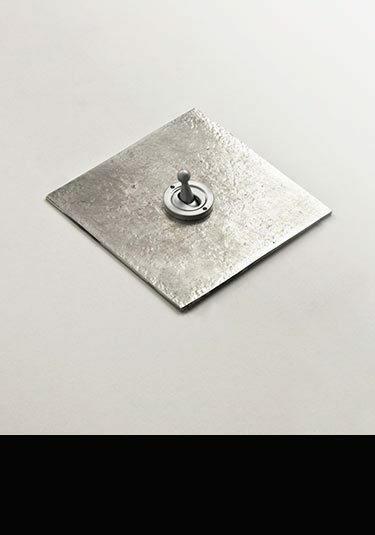 The Silver Smith Collection of household electrical fittings is an exclusive style within interior design. 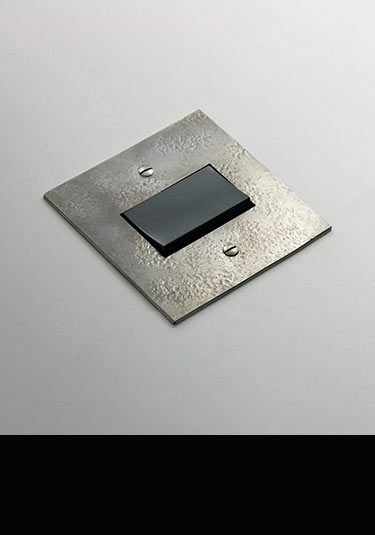 With its bashed satin distressed metal back plates, this silver aged range works very well in both traditional and classical contemporary settings. Within this range is a full collection of electrical fittings including TV and telephone points, cooker points plus the full range of electrical light switches with rocker, toggle and dimmer switching. A period distressed electrical light switch with antique finish. This exclusive household switch is British made ensuring quality. 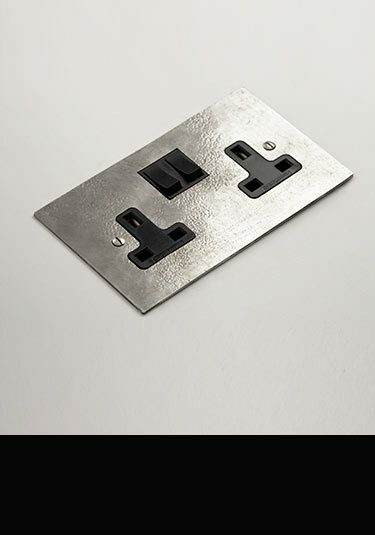 Luxury antique plug socket and complimentary household sockets with a distressed silver finish. Manufactured and designed in the UK.